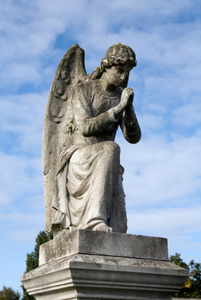 You will find more names of male angels as opposed to names of female angels. Why so? Are all angels male? Unfortunately I don’t have a definitive answer to this question. Some people believe that angels have no gender. And yet others think they are androgynous. In Judaism and Christianity, angels are described as male. Experts believe that since Christian and Jewish traditions are patriarchal, angels are referred to as being male. As an example, in Jewish and Christian texts the archangel Michael is described as a male angel. But aside from this interesting detail, you will find several names of angels and archangels in different traditions. The list presented below is just a small sample. Some of the names listed here are variants of better-known names. For example, Yophiel is a variation of Jophiel, the name of an archangel in Jewish and Christian traditions. Abariel - An angel of ceremonial magic. Adar - This is one of the 23 Hamkar archangels in Zoroastrian belief. Adar represents the fire element. Aneran - Another of the Hamkar archangels in the Zoroastrian religion. He embodies the concept of boundless light. Arel - An angel of fire. Din - One of the Hamkar archangels in Zoroastrian tradition. The Hamkar are said to be manifestations of Ahura Mazda, the creator of the universe. Other variations are Daena and Den. This archangel is associated with insight and revelation. Govad - In Zoroastrian belief, Govad is the name of one of the Hamkar archangels. It means “good wind”. Hamuel - A variant of the Hebrew Chammuw’el (Chamuel), meaning “Heat of God”. It is also the name of an archangel. Izrail - A variation of the Arabic Azra’il (Azrael), the Angel of Death. Jesimiel - From the Hebrew Yesiymael, roughly meaning “whom God makes”. Malachi - From the Hebrew Malakiy meaning “my messenger”. Orfiel - A variant of the name Oriphiel, meaning “The Wrath of God”. Ram - The name of another Hamkar archangel. It means “good cheer”. Remiel - Variant of Ramiel, which means “Thunder of God”. Reuel - Derived from the Hebrew name Rəuwel meaning “Friend of God”. Samil - Variant of the Hebrew Samael. It is the name of an Angel of Death. Tir - One of the Hamkar archangels, Tir represents the mystic star and his domain is the rainfall. Yerachmiel - A variation of Jehramiel, which in turn derives from the Hebrew Yerachmeel, meaning “the mercy of God”. Kafziel - Hebrew name meaing “the swift one of God”. Yophiel - A variant of Jophiel meaning “the beauty of God”. Zerachiel - Mentioned in the Book of Enoch, it is the name of one of the archangels. It means “God’s Command”.